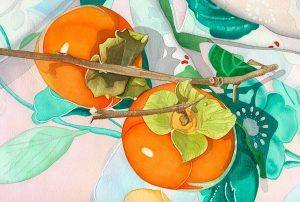 Sally Baker is a watercolor artist living in Sebastopol, California. She received her B.A. from the University of California at Santa Barbara and her Secondary Teaching Credential from the University of Southern California. She taught high school fine arts for 34 years. Sally describes her work as sharp-focused watercolors with emphasis on strong shadow shapes and luscious colors. She feels she is “rescuing moments” that otherwise would never be seen again. She is best known for her still life series that focuses on Asian artifacts, kimonos, persimmons and bamboo. Sally is represented locally by the Graton Gallery and participates in both Sonoma County open studio venues, ART Trails and Art at the Source. She has been featured in The Artist’s Magazine and in Splash 14, The Best of Watercolor. Her work is in collections throughout the United States and abroad. President Doug brought the meeting to order by noting that our shrunken room was like sitting at the kid’s table at Thanksgiving. The Pledge: Rick Allen pointed us in the right direction and led us in the Pledge of Allegiance. Invocation: Bob Higgs, once he got up to the podium (which took an extraordinarily long period of time! 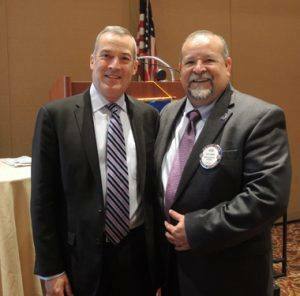 ), set the tone for the meeting and gave a heartfelt prayer for the Lake County fire victims, and thanks for Paul Harris, Rotary and the 4 Way Test. Emily Harrington let us know that there were no visiting Rotarians today. 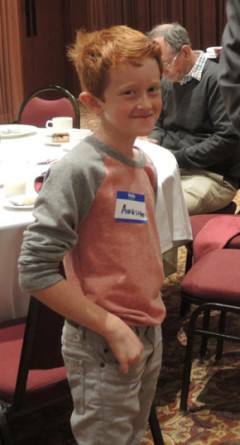 Ryan Thomas introduced his awesome son Zach, who seems to be becoming an honorary Rotarian. Rich de Lambert introduced Sean McGlynn the city manager of Santa Rosa, and Gloria Furtado, both of whom were from Texas, and they promised to finish the downtown square. Jose Guillen introduced our speaker Tennis Wick. All is well because it’s raining outside! President Doug Let us know that Wayne Rowlands has been up in Lake County with the Salvation Army helping the fire victims up there. Kathleen Archer has also pitched in, as has the United Way under the leadership of Mike Kallhoff. There has been a lot of activity in Rotary organizing for the relief effort. The Calistoga club is collecting donations that they will then pass on to the Red Cross. Our club then passed the hat and raised over $3000 toward this effort. Way to go, Rotary Club of Santa Rosa! Doug Chase pours out the winning number as Julia Parranto waits patiently to see if she has selected the right number. Nope! 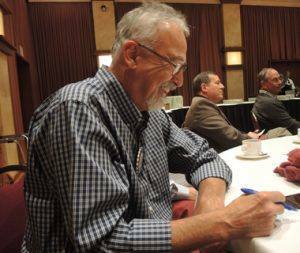 Doug Chase then tried his best to describe the complicated new raffle imposed on us by President Doug. It is too complicated to describe here. In any case, things went extremely well after that as your scribe, Julia Parranto, had the winning ticket. Alas, a winning ticket does not equal a winning pot, but $10 is $10. Debi Zaft posed our Rotary magazine question of the month. She said that 90% of the worlds polio cases were in Pakistan, but Pakistan has made tremendous progress recently in getting their numbers down. Can anyone tell Debi the percentage decrease in polio cases in Pakistan? Yes! Sam McMillan was able to tell us that there were 70% fewer polio cases in the last year versus the year before, in Pakistan. That is impressive progress indeed. Good work Sam! Pres. Doug let us know that it is very difficult for Rotary to get into Pakistan at this time, so the new strategy has been to basically cordon off the country and vaccinate people going into and coming out of Pakistan. Interesting approach. Pres. Doug announced: well, he tried to announce something or other, but as soon as he said “skahk”, he kind of lost control of the meeting, but he got it back by telling us a story about when he was a young man and he went to a national convention of something or other, and he was talking to a pretty young lady, who was not impressed when he asked her to go to the potty with him. I can’t imagine why!? Anyway, there will be a SCARC meeting this month at the Highland Dell Lodge in Monte Rio on September 24, 2015. Reservations are required. Our club is having a big event on September 30: the screening of the movie about the college for women in Afghanistan. We have 100 people signed up, and we’d really like 100 more. It’s an Evening with Razia Jan at the Scottish Rites Temple, from 5:30 to 7:30. E-mail Doug if you want to go. Our club is hosting the SCARC meeting on October 29, 2015. The meeting will be at Gesine Franchetti’s restaurant, Rosso’s, at 1229 N. Dutton. We should all try to get there. The Cotati- Rohnert Park club is having a golf tournament, on October 30th, to support their library project. Roseland University Prep is having their career day on Monday, November 16. Please come and tell the kids about your career if you have an interesting one, you know, unlike Pres. Doug! 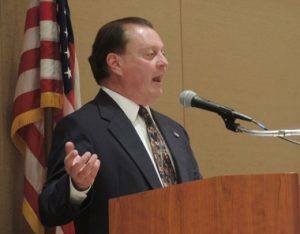 Paul Hamilton announced the annual Veteran’s Day lunch now has tickets on sale. Buy one ticket for yourself and another one for a vet. 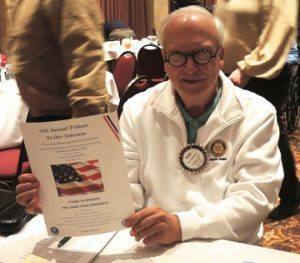 Make your checks payable to the Rotary Club of Santa Rosa and put Veteran’s Day in the memo section. Buy your tickets from Paul or Knick before or after meetings between now and then. Pres. Doug reminded us that we are dark that week as all of us are expected to attend. Mark Burchill found what looked like a slinky/sparkly women’s top at his house after the wine tasting at his house. (!) Is it yours? Judy Glenn announced John Brown’s birthday party is today at Judy’s house at 4:30. Doug Chase then asked some strange questions about, I think, Ted X?? Jackie McMillan announced that there will be a multicultural celebration put on by five different Rotary clubs on October 18th. Make a point this week to talk to someone about joining Rotary. The meat auction social has been moved to October 2. This is the auctioning off of meat purchased at the Sonoma County Fair as part of our support for agricultural education. Pres. Doug also announced that nominations for District Gov. are now open. The only requirement is that the nominee must have been a president of a Rotary club. Pres. Doug suggested Marnie Goldschlag, who found the suggestion amusing at best. It has been four years since John Brown passed away and the Rotary Club of Santa Rosa Foundation established a college scholarship for a military veteran in memory of John. Each September around John’s birthday the foundation conducts a fund raising campaign to grow John’s scholarship fund. Thanks to the generosity of many, many Rotarians the fund has grown to $35,000. The club foundation would like to increase the fund to at least $50,000 in order to make the scholarship self-perpetuating. The club foundation recently established the second annual matching fund program to help grow John’s fund. 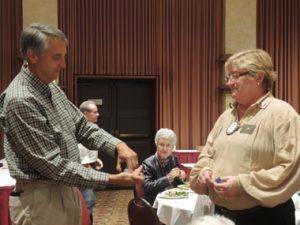 The foundation will match dollar for dollar the contributions of Rotarians with a cap of $3,500.00. The matching fund program will end on October 1, 2015. Approximately $1,750 has been raised since September 1st so we are half way to reaching the match goal. A similar program was held last year and over $7,000.00 was raised including the foundation match. Please consider making a donation to the John Brown Memorial Veterans Scholarship Fund. Your check should be made payable to the Rotary Club of Santa Rosa Foundation and mailed to PO Box 1513, Santa Rosa, Ca. 95402. Questions should be directed to Steve Olson. Jose Guillen introduced Tennis Wick, who has been the Director of the Sonoma County Permit & Resource Management Department since 2013. Tennis Wick started by suggesting that Pres. Doug get the speech therapy we’ve been begging him to get for years. Nicole Le was delighted to find out that her office building is built on the debris dumped in the area of Hwy 12 and Mission after the 1906 earthquake, which makes it very similar to the Marina in SF, where debris was also dumped. All our hospitals are built in high hazard areas. We have bridges in this County that have a safety rating of 4 on a scale of 1 to 100, with 100 being the safest. There is a high probability that we will see a big earthquake before 2032. There are still 100 unreinforced masonry buildings in Sonoma County, including 6 firehouses. Earthquake insurance does not make financial sense as the deductible are so high; in Napa, FEMA and the SBA helped with funding. Lots of discussion about the old Community Hospital site on Chanate Rd. Many of those buildings will have to come down. This was a very interesting and informative program. Thanks to Jose Guillen for inviting this speaker!